When it comes to our weekly trips to the grocery store, bananas are often one of those staple items that always end up in our carts. Since bananas are versatile and naturally sweet, we start to drum up ways to use them right then and there. There's adding them to smoothies, attempting the famous banana pancakes everyone's been talking about, and even turning them into ice cream that tastes so good, you won't believe it's actually good for you. So while we may start the week with every intention of using this nutritional powerhouse that is full of heart-healthy fiber, potassium, and iron, all too often, we end up forgetting about them. While there's always using them to whip up another batch of banana bread, we've come to learn that there just might be some other uses. 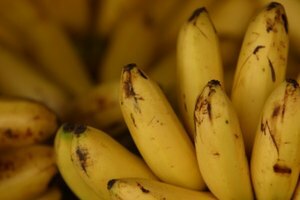 Find out how to tell if ripe bananas are prime for cooking and learn more about the different ways to up your banana game. 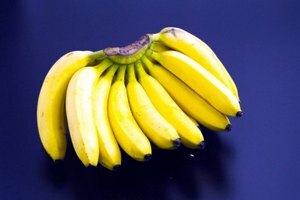 Do ripe bananas go bad? Before you toss out those ripened bananas, here's the low-down on how they ripen. What essentially happens is, as bananas ripen, their starch turns to sugar, their flavor changes from starchy to sweet, and their texture changes from slightly chalky to mushy, even though the flesh stays white. Overall, though, it is safe to eat and cook ripe bananas. 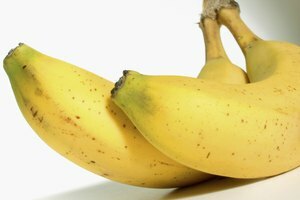 A bruise on the banana appears less as small spots on the peel and more like a single, larger, brown patch. Inside, the banana flesh will also be brown in the bruised area. Simply cut out that area and eat the portions of the banana that remain white. Bananas become spoiled when they sit at room temperature for too long or if bruised spots inside the banana have provided an environment for bacteria to grow. In general, bananas spoil approximately five days after ripening, when stored at room temperature. They can last another five to seven days when stored in the refrigerator and for up to three months in the freezer, with skins removed. 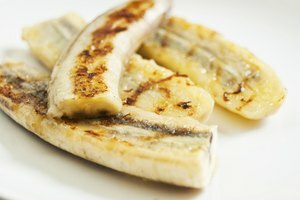 If the banana flesh inside has small white spots on the browned bruised portions, or if the flesh has turned somewhat runny, throw away the whole banana. A good rule of thumb: never use old bananas in cooking. When you cook ripe bananas in a skillet, their sugars caramelize, and they gain a nutty, deep flavor that is super delicious. Sauté to cook ripe banana slices in butter and honey for about three minutes. Note: for crispy, fried bananas, coat slices in a batter, in bread crumbs or in shredded coconut, and cook them in 1/2 to 3 inches of oil until they turn golden, about 1 to 2 minutes on all sides. Next, pour in about 1/4 cup of rum per 4 bananas. Flame the liquor and pour the concoction over ice cream. On her website, Anne Byrn, author of The Cake Mix Doctor, recommends adding anywhere from one to three very ripe, mashed bananas to any boxed cake mix to add flavor and moistness. Byrn also adds 1 cup of mashed bananas to muffin recipes without any adverse effects to the final products. You can do the same thing with pancakes and waffles, adding from one to two mashed bananas to any recipe. They are the perfect addition to recipes that need a little extra sweetness and flavor. Another way to use overripe bananas, frozen or not, is to add one or two to smoothies for a yummy kick. Or, turn frozen bananas into faux ice cream with the help of a blender or food processor. Simple pulse small pieces of frozen bananas until they turn from crumbly to gooey to a smooth texture resembling soft-serve banana ice cream. Eat the ice cream immediately or freeze it until it hardens. Avoid tossing old bananas every week by incorporating this sweet fruit into a variety of everyday recipes.